Many military veterans are unaware that the VA offers veterans ID cards. The only current option is the Veteran Health Identification Card, formerly known as the Veterans Identification Card (VIC). This card is available to military veterans who are eligible for VA health care benefits. However, a new ID card may soon be available. In 2015, Congress passed the Veterans Identification Card Act which will make veterans ID Cards available to all veterans with an honorable discharge. The VA will begin issuing these new Veterans ID cards in November 2017. In this article, we will discuss the Veterans Health Identification Card, which is designed to serve as an Identification card for the VA health care system. The official purpose is to check in to appointments for receiving VA health care benefits. However, many veterans also use this card to prove their military service. This can be helpful if you do not have a military ID card or your state doesn’t offer a veterans designation on their drivers licenses (most states now offer this). The Veterans Identification Card (VIC) is only available to military veterans who are eligible to receive VA health care benefits. There are many misconceptions regarding VA health care eligibility, and there are thousands of veterans who are unaware they are eligible for VA medical benefits. You don’t need to have a service connected disability to be eligible to receive VA health care benefits. Eligibility is based on active duty service in the Air Force, Army, Coast Guard, Marines, Navy, or Merchant Marines (in WWII), who have an other than dishonorable discharge. Former members of the Reserves or National Guard may be eligible if they were activated under Federal Executive Orders (this generally excludes activation for training purposes). Other eligibility factors include active duty service dates, deployments you may have served on, or other criteria, such as being discharged for medical reasons, serving in a war zone (Vietnam War veterans and Persian Gulf veterans who served in theater during certain dates are eligible for VA health care benefits), Former POWs, Purple Heart recipients, and veterans who meet certain household income requirements may be eligible for VA medical care benefits. Here is more information for determining VA health care eligibility. You can also contact the VA to determine health care eligibility or use this eligibility questionnaire. You must be enrolled in the VA health care system in order to receive a VIC. To do this, you must establish eligibility and fill out Form 10-10EZ or Form 10-10EZR (these are also the same forms used to update your personal information). You can fill out this form online, by phone (Call 1-877-222-8387, Mon-Fri, 8:00 am – 8:00 pm EST), by mail, or in person at any VA clinic or medical facility. Here is the VA Directory to find a location near you. After you have enrolled in the VA health care system, you can visit your local VA clinic or medical facility to obtain an ID card. You will need to have your photo taken. The card will then be mailed to you within 7-10 business days. Be sure to verify all the information is correct on the VA ID Card when you receive it. What you need to know about the VIC Card: The Veterans Identification Card only contains your name and any special benefits designations, such as a mark for a service-connected disability, POW status, or Purple Heart recipient. The cards no longer contain printed Social Security Numbers, date of birth, or other confidential personal information on the front of the card. However, the cards do contain a bar code that could be read by certain cell phone applications. These bar codes contain your name, DOB, SSN, and other personal information, so be sure to safeguard your ID card to reduce the risk identity theft if your card is lost or stolen. If your Veterans Identification Card is lost or stolen, you should contact the medical facility that issued your card. Photos are maintained on file, so you won’t need to have another photo taken. You will have to verify your personal information to prove your ID. The VA ID Card is not an insurance card. The only authorized use of the Veterans Identification Card is for verifying ID at VA facilities. It is not an insurance card and cannot be used to pay for medical care at non-VA medical facilities. Though not an official use, many veterans use these cards to prove military service. I need a copy of my discharge under honorable conditions. I left the USAF the end of April 1985. In order to apply for this card I’m told I need a copy of my DD214. Marine Cops League, AM Vets, but I can’t get a Vet ID card from the VA or anywhere else, that says I’m considered a Vet. Why? I’m I considered a Vet? Hi Bob, You are most definitely a veteran. The issue is that there is no recognized authority for issuing a Veterans ID card for every veteran who served. The VA only issues ID cards for those who are eligible for VA health care. IF you served in the Vietnam theater during your period of service, you are likely eligible for a VA ID card. There are other qualifying factors as well. If you are not eligible for a VA issued ID card, then you may still be able to prove your service another way. Several states issue a veterans designation on their drivers licenses. We also list a few other options in this article. I hope this is helpful, and thanks for your service! I am a Navy veteran and already have this card but I received it in 2006 from Houston VA hospital. Do I need to get an updated card or is the one that I have currently still good? Sarah, your card should still be good. The VA issues health care ID cards to veterans who are eligible for VA medical care. The VA will soon be issuing ID cards to all veterans regardless of VA health care eligibility. Go to your local (or County) Veterans Administration office they will get you started. That is how I get started. I was up in the black sea while in the Navy in the late 60’s during the cold war.We were following the USSR NAVY does that qualify me for the VFW. i joind the Army Reserves in 1980 to 1992 was wanting to know how I can’t get a Vet ID card to use post excange and military camp grounds i recived a honorable discharge and have my DD214 where do i go and start finding out. Roger, Thank you for contacting us. The military does not issue ID cards to members once they have left the service, with the exception of retirees. In most cases, you will not be able to gain access to base to use these services. I recommend contacting your local base Pass & ID office. They will let you now what your options are. I have never served our country but appreciate everyone who does and I thank you for it. My father, Uncles and even my step grandfather have served in different branches of the military. I do work were they do give a discount to people who have and are currently serving in the military. But recently they are getting strict on what kind of ID they need. Most of the gentlemen don’t have their military ID or have the VIC card you have shown here.I did see something about being in a health care system but I don’t know if that applies to all of them. Our state (Indiana)has it on the back to show that you served but that isn’t good enough. I have stated to them that I really think its unfair but I’m just a worker and its not my company. I would love to let them know where they can get the right ID. I know some people don’t belong to the VFW or the VA and they would just bring their DD214 or discharge papers but again that not good enough. I really think anyone who has served should get this discount. I don’t care what they show me if its an ID or dog tags.Thank you again. I retired after 30 years service and with 100% disabled. I have received a retirees card as well as a VA card for use at VA facilities. I know that there is a lot of confusion about who should have what. I don’t give out information to veterans because each vet comes with unique circumstances. I would tell a person that has a service connected injury to contact their nearest VA office. I have found it more helpful to visit in person then contacting on the phone. I have a claim in that has been pending over a year and I can tell you calling is not the answer. I recognize all vets, from all services, and from any service time. I was recognized from social security as being disabled before VA; however, VA eventually caught up. I have found that a service organization can assist in many cases. I personally have gone through DAV with some success. American Legion is another good organization as well. To all those searching for answers good luck. I am wondering about how to get my Veterans Identification card, The V.A. has no way of providing me with one due to equipment problems and no IDEA WHEN it will be able to assist me and the State of Washington is requiring I produce this card as proof of I.D. before I can get a State I.D. card! something simple has become a REAL problem, I’m unable to do anything without I.D. so I’m in need and MUST have it now, BUT nobody can tell me when Ill be able to get one! The old system was removed before the new system was up and working, (absolutely the best decision) and something as simple as an I.D. has become a REAL problem! The Government Is so worried about other issues that it cannot even finish the installation so far and I cannot even get answers as to how long I must WAIT to get a V.I.C. As Roger Norman pointed out in an earlier comment, the VA’s health care ID card system has been down for many months, and there’s no guess as to when they’ll have it up and running again. The people at the local VA facility here in San Diego simply recommend to keep checking back. Here’s the web site to contact this facility (www.sandiego.va.gov/index.asp), and it’s simple to do a search for a VA facility in any city. They’ll still provide health care without the ID-just bring a DD-214. They’re currently offering free flu shots, so it’s worth the trip! I’ve read the preceding list of comments by others expressing frustration about not being able to get a simple military I.D. card from the V.A. or from whatever branch of the armed forces they have served in. THIS IS OUTRAGEOUS! How is it possible that the Veterans Administration of this country is incapable of printing and issuing a simple card based on existing military service records which they have on file. In my own case, I’m not looking for health care, P.X, access or any other benefits from the military or the V.A., just a simple I.D. card to prove my previous military service for entrance into certain private organizations and for discounts in many retail establishments. Every website I’ve looked at that claims to offer information on “How to get a Veterans I.D. card” winds up providing nothing but reasons why we can’t get such cards. Most military veterans didn’t have the option of offering excuses for not disrupting their lives, careers, family or college educations when our country called us into military service. We didn’t have the excuse that “computer programs aren’t working, or “we’re too busy”. We dropped everything and answered the call. WHY can’t the Veterans Affairs Department, with all it’s staff and equipment respond in a timely manner with a simple I.D. card? I simply need to know ho to obtain a military card. i completed 22 years in the ASAF active duty and i do not live near a military installation. I am a Vietnam Era Marines Corps veteran and a former military spouse of a retired Army MSG Dwight L. Lawler; we were married 11 years and 11 months. I have a Dept. of Veteran Affairs ID card(with a bar code on the side) and I am handicapped. I still have my Veteran Universal Access Id card with my Social Security Number and date of birth. I would like to know what I need to do to obtain an ID card to go on a nearby Military Base? I would like to thank you in advance for your prompt reply. May you have a Blessed Day. Hello Efren, Here is our guide for VA Health Care Eligibility. My recommendation is to follow the instructions on the VA site. You can also call and schedule an appointment with a benefits counselor to determine which benefits, if any, you are eligible to receive. Roland, I don’t know if it is possible to track down where your VA ID card was issued. If it does have your Social Security number on the back, it is possible you are at risk of identity theft. The best thing you can do is put a credit freeze on your Social Security number. This will require any lender to call you before they are allowed to extend a line of credit to anyone using your Social Security number. This will help with protecting your credit score, but it won’t necessarily prevent other forms of identity theft. Unfortunately, that is about all you can do at this point. The Social Security Administration does not issue new Social Security numbers easily. You must first prove that your identity was stolen and you have done various things to correct the issue. Best of luck, and thanks for your service! I served in vietnam in1965 66 67. How can i obtain a military vets i.d. card? Depending on the state that you live in, you can go to you local DMV office. Take your DD 214 and ask for a Veterans ID card. Some states may not have a separate ID card. If they don’t ask if they can put your Veterans status on your driver’s licence. At this time all I would like is a Veteran ID Card. Not Medical card. I went to the Kansas City VA Office, they said I must have a medical disability to even get a card. I just want a card to get discounts from stores like Home Depot, Lowes etc. What do you think of a DoD Army Disabled Veteran of 32 year’s @ 70 % Who in the end really is not a Disabled Veteran because the VA will not recognize it even though being paid for life by the Army. Since the VA won’t recognize the Disability neither will some State and County Agency’s. So bottom line is im not disabled no matter what the Army says. I also served from 1979 to 1990 during that time i am concerned a non Vet. It is very frustrating trying to get military benefits that you are entitled to, but constantly being ignored! My husband was medically honorably discharged and is still not receiving his benefits! Shameful how veterans are treated!!!! I volunteered for active military service with the US Army. Following basic training and AIT, I then volunteered to go to Vietnam where I served with MACV Advisory Team 8, II ALC. It was my understanding when I signed up that I would be eligible for VA hospital/medical benefits when I was discharged. I applied for VA health benefits back in 2004 – 2005, was originally denied due to financial standards so I gave up on the idea of getting any benefits. The following year, I received a letter from the VA stating that financial eligibility standards changed somewhat and recommended that I reapply. I did and I was found eligible for 7a (?) benefits. This was before I started receiving Social Security Benefits. Once I started receiving Social Security, I figured I would no longer be eligible for benefits and have never attempted to reapply although at a VA outpatient facility, the man I spoke with recommended reapplying for each of the years since I was eligible and submit my 1040s with each year’s reapplication. I felt that it was too cumbersome and possibly a waste of time, so I’ve never reapplied. I suppose I could just try to apply and see what happens; but, all that I’m trying to get at/find out, is was I wrong in believing in what the Army recruiter stated to me about being eligible for VA medial benefits following my discharge? Before I retired, a couple friends of mine did apply for VA benefits having no medical issues and were found eligible. The year following my retirement, I found that I wasn’t eligible due to financial standards. Did something change from the time I entered the military in ’68 (and going to Vietnam for 17 months and getting an “early out”) and when I retired in 11/03? Thomas, I’m sorry it hasn’t worked out as you expected. I don’t know exactly what your recruiter told you, so I can’t comment on that. What I can comment on is that some recruiters are less than clear in explaining how certain benefits work. And unless you get it in writing, a promise from a recruiter isn’t worth much. All I can tell you regarding VA benefits is to sit down with a VA benefits counselor to see which benefits you may be eligible to receive. There’s not much else you can do at this time. I wish you the best, and thank you for your service! Mike, Thank you for contacting me. I agree, it would be nice for the government to issue veterans’ ID cards. But right now the VA doesn’t have a process in place for issuing ID cards to every veteran who has served. They will only issue ID cards to veterans who are eligible for VA health care (regardless of whether you choose to use the health care or not). There are other ways to show proof of service, including with a veterans designation on a state-issued ID card or driver’s license, or with a membership card from a Veteran’s Organization such as the VFW, American Legion, etc. Some veterans also carry around a copy of their DD Form 214, but I don’t recommend that since it has your SSN on it. I hope this is helpful, and thanks for your service! I think many people are under the misconception that having a VA card and getting full or partial benefits without out at least a 10% rating. It is false. You CAN get a card but you do NOT receive the same benefits at no cost and some you cant get at all. In any event you wil have to have OUTSIDE insurance. I have tried for years to get my daughter a military dependent ID card – her father is active duty Navy and I’m prior service Navy. We have been unsuccessful at this since 2004 she was (5), shes a senior in High School now. We were legally married for (8) years before we divorced and he is on her birth certificate. How can I get her the benefits she’s entitled to without his assistance? Vida, Thank you for contacting me. Your daughter needs to be enrolled in Defense Enrollment Eligibility Reporting System (DEERS) in order to receive an ID card. If she is in DEERS, she should also be eligible for medical benefits through TRICARE, and possibly other benefits, depending on the circumstances. I’m not sure if there is a way to have her enrolled in DEERS without your former husband’s assistance. You will need to contact the nearest DEERS office for more information. I joined thee USMCR in 1956 and received my training by the officers and NCO’s on site of my unit and on USMC bases. I completed my 6 year obligation and all training that was required of me. I was not issued a DD214 at that time and in 1962 I did not feel it was important, so I did nothing to research the reason. I do not ask for any VA Benefits, but I would like to be able to acknowledge my service on my Driver license from my home state of KY. Our legislature made a law that allows such acknowledgement with a DD214 and they do not allow for any other equivalent documents. I was issued a form NA Form 13038 from the Office of Military Archives in St Louis that is the equivalent in lieu of a DD214. They cannot create a document, but only copy the records on file or issue this NA Form that digest the information on record. Is my request a State or Marine Corps problem for me? I can’t even buy a USMC personalize auto license for my vehicle. I would like to prove that I am a Marine, but all I can do is buy a hat at a flea market. Don’t let the lack of a document deter you from receiving any benefits you may be entitled to. If you need care of any sort, walk in to the nearest VA hospital and tell your story. Every person who stood up and put up their right hand and swore to give their all- up to and including their life to our country is a veteran and deserves respect and the benefits they are entitled to. For sure there are varying levels of benefits according to dates and duration of service but if you don’t ask you will get nothing. I served in the US Navy from 1951-1955 . Besides the miniaturized copy of my discharge papers, is there any kind of a VA ID card, that I can get to carry in my wallet. I just want to be able to get store discounts that are offered to veterans.. Depending on the state that you live in, you can go to you local DMV office. Take your DD 214 and ask for a Veterans ID card. Some states may not have a separate ID card. If they don’t ask if they can put your Veterans status on your driver’s licence. I live in Virginia and my boyfriend went to DMV and applied and got his card a week later. Not all state do this. Good Luck. Ohio will put your Veterans status on your driver’s license, but there is also a program where you can go to your county recorders office and have your DD214 recorded and they will issue you a Veterans ID card. This card is used like a DD214 for employment purposes etc. without needing to carry the DD214 and all of it’s confidential information, they will then release the needed information as required without giving out the other information not required by law. Served 1967-1971 Tdy SE Asia and 14 months outside USA in North Africa. I have a DD214 but would like to have a Veteran ID card also. I checked with the VA – not eligible (income , and non service connected disability). Any solutions? I am a veteran with disability & VA healthcare and have been trying to get an ID card for the past month. The first time I went to a VA facility I was told the system was down nationwide and would not be up for quite a while due to system upgrade. I called in a couple of weeks and they told me the system was up… nope down again when I got there ( 50 mile drive each time). So I tried 3 other facilities today, 2 of which I was told on the phone that the system was up and when I arrived, system down! The last one I went to said that the thunderstorm knocked out the system earlier in the day so I should come back in a week or so. That facility is a 75 mile drive by the way. So I clocked up 200+ miles over about 5 hours today… what fun! Still no ID card. I am very frustrated with the lack of coordination in the government technology arena. Bob, I feel your pain. It took me six applications over the course of two years for the VA to finally enroll me in the system, and I have been trying for the last three months to get an ID card with the same results as you. Every time I go in I’m told “the machine is down” and to “call back the middle of next week”. Sometimes I’ll call and they’ll say the machine is still down and to call back again the following week, but three times now I have been told the machine was up and driven 45 minutes to an hour to my nearest VA facility only to be turned away because “the machine is down”. My biggest issue/question with all of this is if all they’re doing is taking my picture to send somewhere else to have my ID printed and mailed to me, what is this machine that is constantly down? I’ve specifically asked if there is a system error vice a machine, and I’ve been told every time that it’s their machines in the building. It makes no sense to me and I feel like I’m getting the runaround. I recently got discharged from the Marine Corps with a Other than Honorable discharge (OTH) on October 19th, 2015, do i still qualify for a veterans ID card? I served 3 years and 7 months. Michael, here is information on that from the VA. I served in the US Army Reserves from 1971 to 1977 and received a Honorable Discharge. Is there any type of Veteran I D I can get to show my service. So I can get some store discounts, etc. I am LTC Zvonko Micov from Macedonia. I was in Iraq in 2005-2006 year. Here is the link where I was awarded : http://www.eucom.mil/media-library/photo/16868/eucom-photo . I was awarded with BRONZE START MEDAL. I will go now in USA to visit my son, would like to help me where I can apply for veteran card to get some store discounts. Hello LTC Zvonko Micov, Thank you for contacting me, and thank you for your honorable service alongside the US Military. The US military does not issue veteran ID cards to all military veterans. 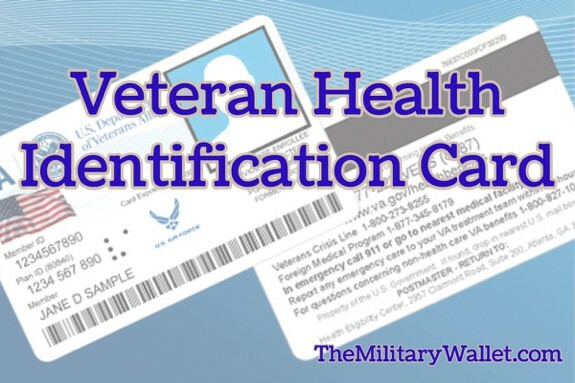 The Department of Veterans Affairs only issues ID cards to select veterans who are eligible for certain veterans benefits through the Department of Veterans Affairs. So far as I am aware, there are no programs that offer veterans ID cards to veterans from military services outside the United States. Unfortunately, I am not aware of any programs through which you would be eligible for a US veterans ID card. I’m sorry I don’t have a better answer. I wish you the best on your trip here to the US and I hope you have a wonderful visit with your son! I recently received notice from the DoD about possible exposure to contaminated water while serving at Camp Lejeune NC in the marines. I never applied for any military id’s or services after separation in 1988. I am more than a little worried about being able to get the necessary id now after all these years in order to proceed with getting info. Is it even possible to get id at this point? Thank you for contacting me, Carla. The military only provides ID cards to those who are currently serving, and to retirees. They do not issue them to veterans who did not retire. 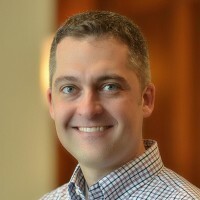 The VA issues VA health care ID cards to veterans with a service-connected disability rating, or those who are eligible for VA health care based on service dates. Also, Congress just created a new law that authorizes the VA to issue ID cards to veterans, but the VA has not yet begun issuing cards (they should begin doing so within the next few months). But it’s likely that all you will need is a copy of your DD 214, which serves as your proof of service. I hope this is helpful, and thank you for your service! I am just trying to make sure I am understanding everything correctly. So person’s who served in the reserve component of the military, but are no longer doing so, are not deemed veterans? Can you confirm this and provide an explanation as to why the military does not recognize these young men and women who have served along side full time military personnel in war time situations? I served proudly in the Army Reserves from 1997 to 2003 in the 394th Corp Support Battalion and I am still proud to have served, I am just saddened that we are not recognized. Served in army national guard seven years from 3-1955 to 3-1962. My unit was called to active duty several times but not during my time of service. People say you served in the guard you are a veteran. Would I be considered a veteran ? If not what or why not? Can I use my veterans ID card to enter on base and base exchanges? Daryl, you can only use a military or retiree ID card for base access, as well as Commissary and Exchange access. The Veterans ID Card is used by the VA system and is not authorized for base access. Hello Terry, Thank you for contacting me. One must have military service to be eligible for an ID card. Military ID cards are only issued to current military members and military retirees. Veterans ID cards are issued through the VA health system to military veterans who are eligible for VA health care. The VA will begin issuing ID cards to all veterans in the near future, but that hasn’t happened yet. Those who are eligible to serve in the military, but never served in the military are not eligible for military or veteran ID cards. Do you have any updates on when the new Veterans ID cards will be available for issue and any information on how/where you make application? Hello James, No updates as of late December 2016. I hope something will happen sometime in 2017. But I haven’t seen any official documentation other than the law being passed. Hello. After reading this, I’m under the impression that I can apply for this at my local VA Clinic instead of going all the way to the VA Hospital? What do I need to bring with me other that my DD-214 and proof of disability rating? Hello Mae, Thank you for contacting me, and I’m sorry for your loss. So far as I am aware, the VA does not issue military or veteran ID cards to spouses or widows. You may be eligible for a military dependent ID card if your husband was a retiree. But that is not a “veteran military discount card”. In general, military discounts are offered based on proof of military service. This is done at the free will of companies based on an individual’s proof of military service, and not through a specific ID card. I hope this is helpful. My husband gets a 100% disability check. He has a VIC that looks like the sample you show on this page. We are starting to have a problem with Home Depot. They are only allowing discounts around certain holidays with that card. In order to get the discount anytime, they are requiring the words “service connected” be shown on the front of the card. I got nowhere with HomeDepot corporate, they just kept saying it’s policy, and won’t send a copy of said policy. My husband’s card is old. Is our ONLY option to spend a day at the VA and try to get them to issue a new card with those words? Was denied va ID card because household income was too high. It’s only wife and I no dependents in NC. What is the limit for acceptance. I have a VIC and still not being recognized as a veterans for my presumptive conditions due to exposure contaminated water at Camp Lejeune. The funniest part is that I am receiving health care. Presumptive means compensable, but everyone I have contacted can’t help. I contacted the secretary personally three months ago still have not heard from him. If you know an answer contact by a reply. I’ve lost my veterans ID card, the one that allows me to go to commissary, etc. It shows 100% permanent and total. Can I replace that online, as I have a hard time being outside. Thank you. Hello Frank, I believe you need to visit a military Pass & ID office to replace your ID card. They are unable to create them and mail them since they need to verify the identity at time of issue. I wish you the best, and thank you for your service! Thanks for the great information, considering how helpful veteran IDs can be for veterans it helps to know how to get one. I’m particularly glad that it includes the eligibility factors as well. After all, it can be a little hard to determine whether or not you qualify for this kind of card. Hello Sean, Thank you for your question. There are two VA issued ID Cards, one is for health care eligibility (explained in this article), the other is for Veterans with an honorable discharge. The first is only available to veterans who are eligible for VA health care, so it sounds like that one is out for your friend. Here is the other Veterans ID card. I cannot state whether or not he is eligible. He would need to go through the application process, which is explained within that article. I still serve the Army reserve. Can I apply for a VIC? If yes what do I need?